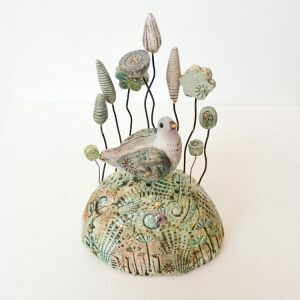 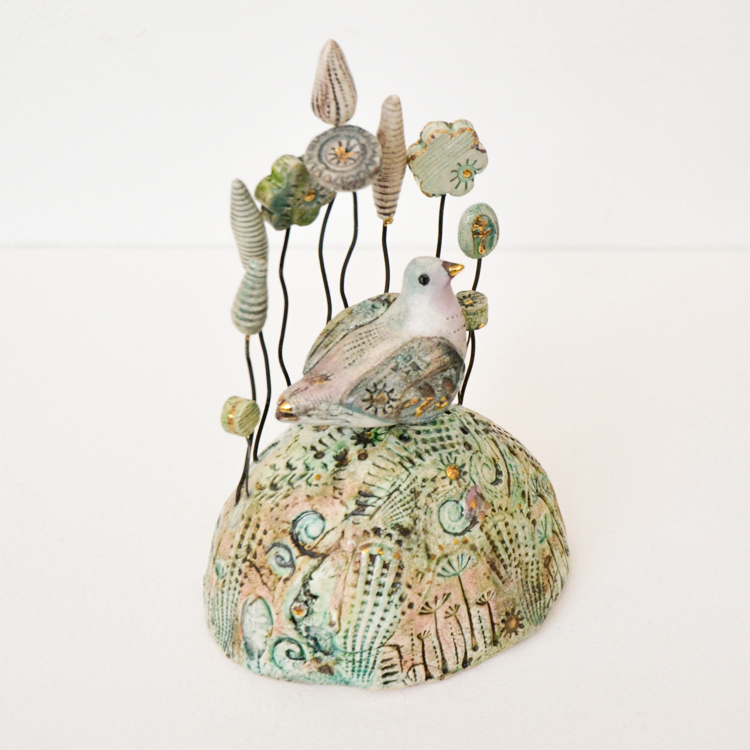 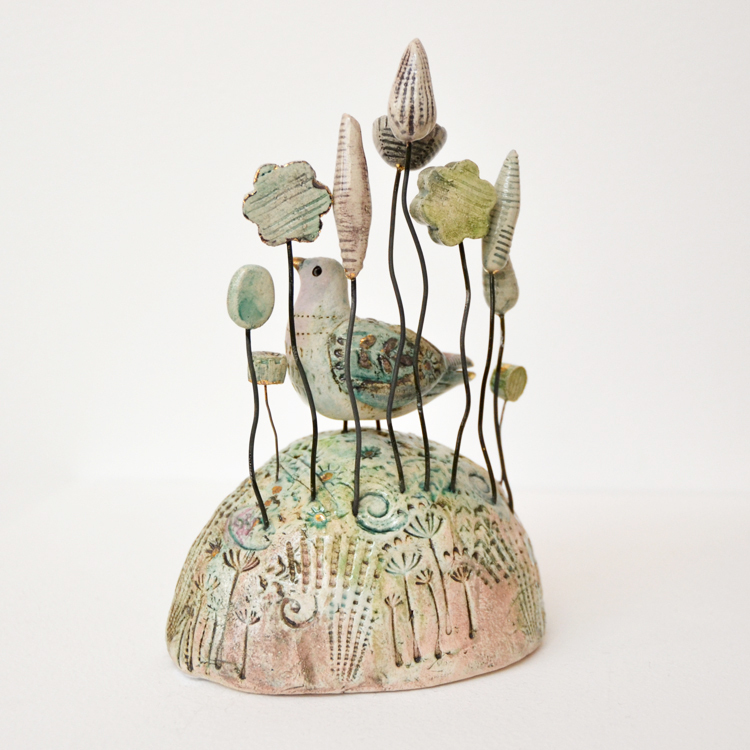 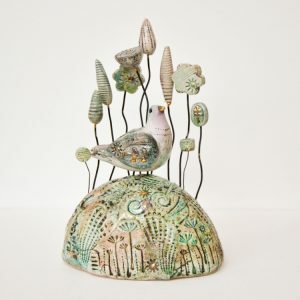 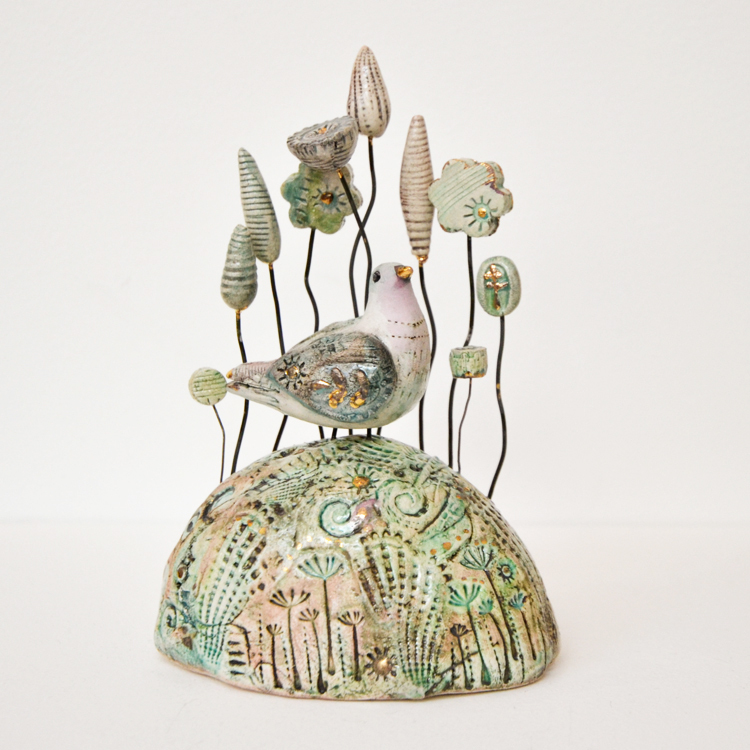 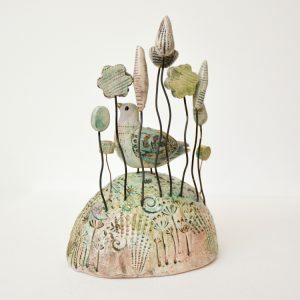 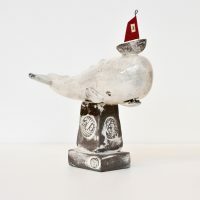 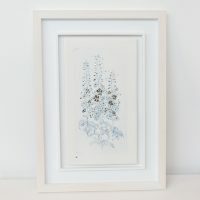 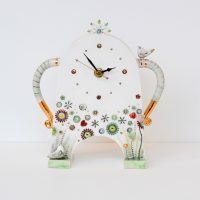 Sarah’s bird island is embossed and decorated in her unique style and finished with lustre glaze details. 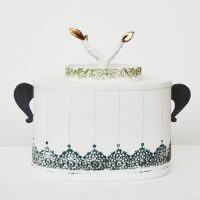 and gold lustre glazing details. 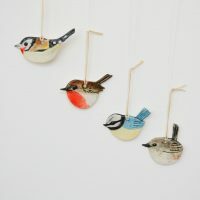 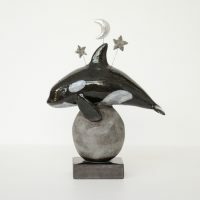 Approx Measurements: height 15.5 cm, total width 10.5 cm, depth 8 cm.